SM’s got it all for you! Plus they’re having yet again another three day sale this payday weekend! 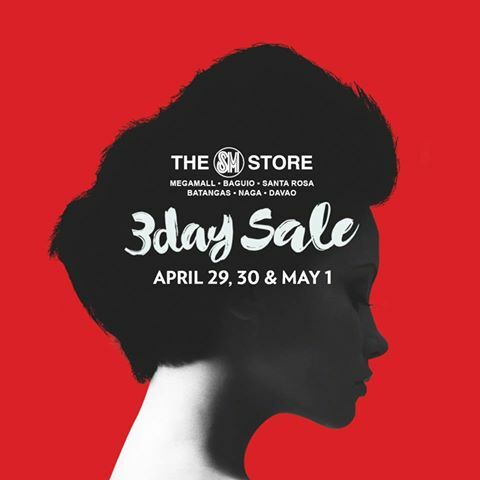 Head to Megamall, Baguio, Santa Rosa, Batangas, Naga, or Davao branches and avail of huge discounts offered! Promo runs from April 29 to May 1!